The fissures in Tunisia's political landscape showed on Saturday, as the ruling party Nidaa Tounes elected two leaders in two parallel congresses. The crisis came days after Tunisian president Beji Caid Essebsi told his party members that he was not keen on contesting the upcoming elections. The 92-year old president who won the country's first free presidential poll in 2014, said that he wanted someone younger to take charge. Parliamentary and presidential elections in Tunisia are scheduled for October and November. This is the third time the country will vote since the Tunisian revolution in 2011 ousted longtime leader Zine El Abidine Ben Ali. The first electoral congress of Nidaa Tounes that started last week elected lawmaker Sofian Toubel as head of the party’s central committee. The second elected Hafedh Caid Essebsi, son of president Beji Caid Essebsi. Saturday's crisis is yet another extension of the divisions that have rocked the ruling Nidaa Tounes party since 2015. Essebsi’s son has been criticized for seeking control over the party, prompting many of its leaders to resign. 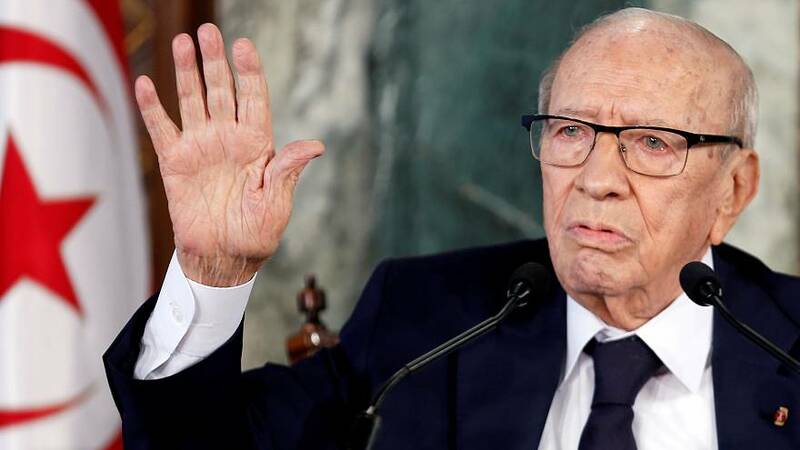 The prime minister Youssef Chahed also entered into a row with Hafedh Caid Essebsi and accused him of exporting the party’s problems to the state. “The congresses of Monastir (in which Essesbi’s son was elected) is illegal and an attempt to deflect legitimacy”, said party official Ons Hattab. Essesbi’s son denied the accusations and said he was surprised by the behaviour of some leaders who went to a parallel conference, adding that this could affect the party. The parliamentary race is expected to be fought closely by the moderate Islamist Ennahda party, the more secular Tahya Tounes party of Prime Minister Chahed, and the Nidaa Tounes. A coalition of these three parties rules Tunisia, but nine cabinets have so far failed to resolve economic problems that include high inflation and unemployment. No prominent figure has so far declared their candidacy for the presidency this year. Tunisia has won widespread praise for its democratic transition since 2011.